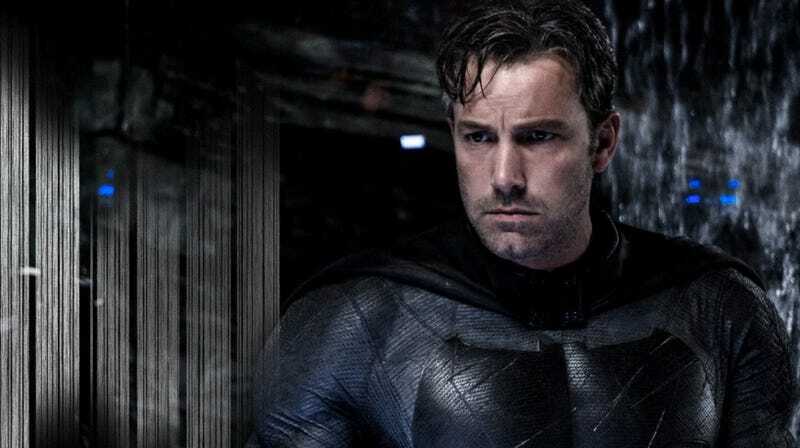 Ben Affleck has decided that he will not direct the upcoming Warner Bros. standalone Batman film. He will still star and produce, but that’s it. Variety reports the decision was mutually agreed upon with the studio and that Affleck will help choose the new director. In fact, there’s already a short list. Here’s the statement Affleck released. According to Deadline, the search for the director has already begun and the short list includes Matt Reeves (Dawn of the Planet of the Apes) and Matt Ross (Captain Fantastic). This comes days after several sources reported Warner Bros. took a $75 million loss on Affleck’s latest film, Live by Night. Though that isn’t mentioned in Variety’s report, the timing seems almost too coincidental. It would be almost impossible for either Affleck, the studio, or both, not to take that failure to heart. One flop doesn’t ruin a career, but it could hurt the confidence going into a feature for which Affleck was already feeling the pressure. “Warner Bros. fully supports Ben Affleck’s decision and remains committed to working with him to bring a standalone Batman picture to life,” the studio said a statement also released to Variety. Affleck was co-writing the script to the film with DC guru Geoff Johns so, he’s obviously going to be very involved. He just won’t have to worry about every single thing. Let us know what you think this move says about The Batman in the comments below.